The Home Security Advisor is an online resource for home security and safety information. We review home security products, companies, and services as well as provide relevant home and personal safety information. We offer a comprehensive resource providing security company reviews, side by side comparisons, expert analysis, safety ratings, and home security tips. Our mission is to provide you with the information you need to keep your home and family safe. With over 20 years’ experience in the alarm industry, we have had the privilege of helping hundreds of people protect their homes, small businesses and families with professionally installed and monitored security systems. In that time, we have come to realize that no alarm company has the best solution for every situation. 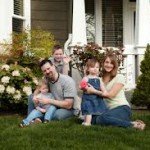 Your home or small business is unique- as are your priorities, budget, and concerns. Our objective is to try to share my knowledge, experience, and insights, provide relevant information and help you identify the best products and services to meet your individual needs. There are thousands of security companies out there…each claiming to be the best. There are a myriad of products, technologies, and devices devised to safeguard you, your family and your home…and our hope is to help you sort through all the “noise and propaganda” and find the best values to protect the things that are most important to you. Once again, thank you for visiting. Feel free to leave comments below…and check back frequently for updates and articles on new developments and ways to keep you, your home and your family safe!